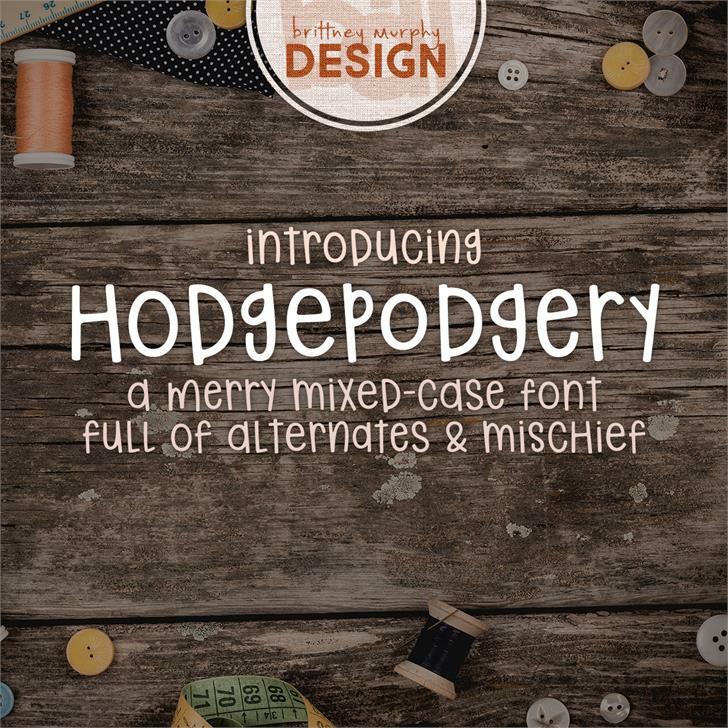 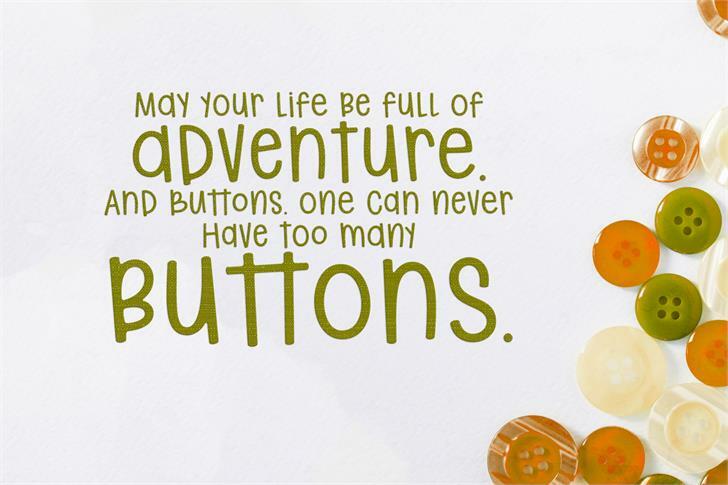 Hodgepodgery is a playful mixed-case font with alternates. 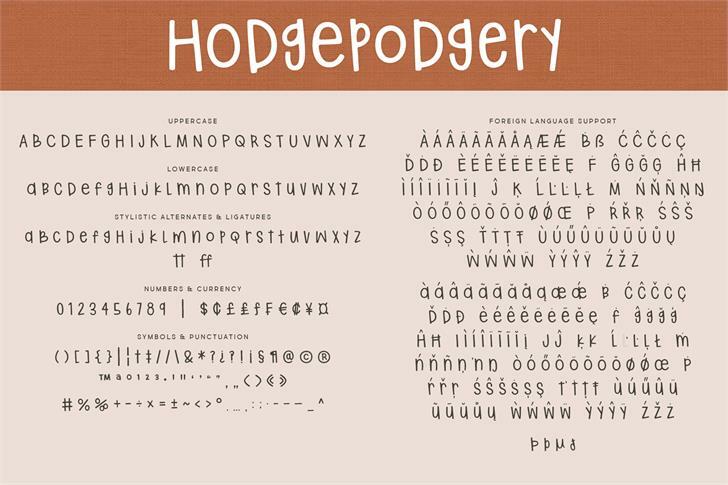 Since all the letters are the same height, it works great for multi-line designs! 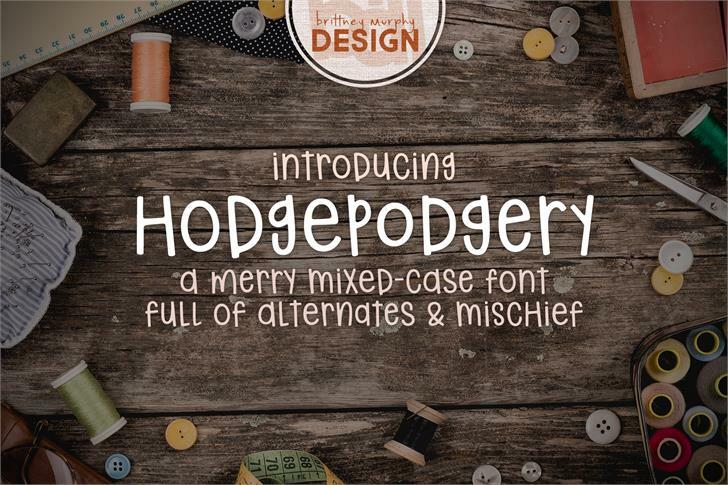 Hodgepodgery is a trademark of Brittney Murphy.